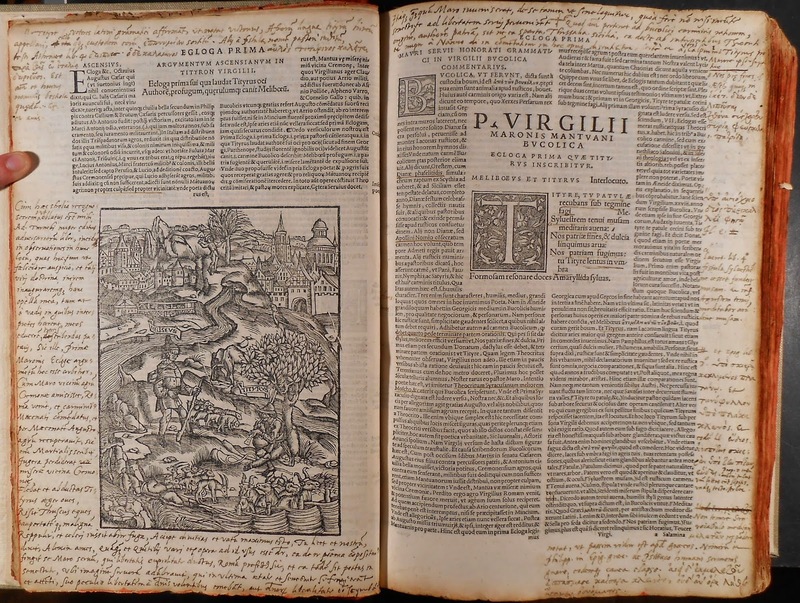 This edition of the works of Virgil (Venice: Juntas, 1552) is pretty standard in format for the time. 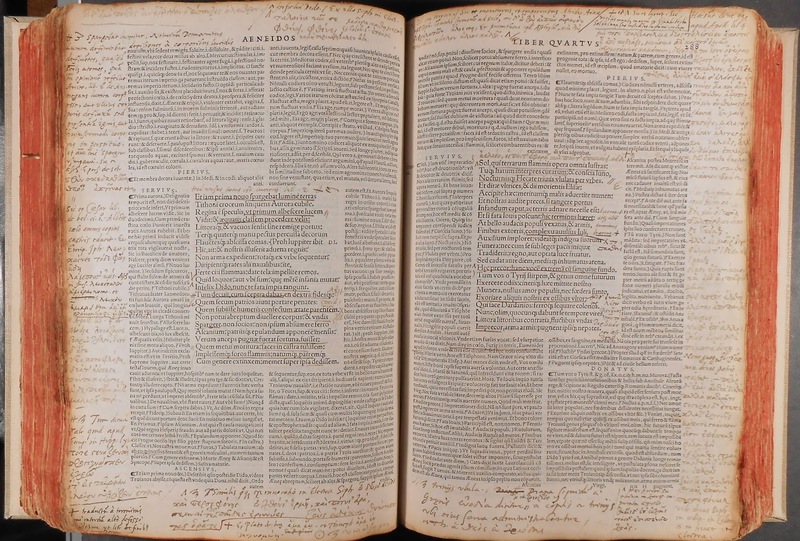 Extensive commentaries of multiple writers frame ten to fifteen lines of Virgil on each page. The book turns into an active conversation between Virgil, Servius, Donatus, Mancinellus, Ascensius and others. But our copy also features the voice of a very active reader. A note at the beginning of the book attributes the marginal comments to Germain Vaillant, Abbe de Pimpont, who prepared his own commentary on Virgil for Christopher Plantin in 1575. His notes are in Greek and Latin and fill nearly every bit of marginal space in the book. At times, he inserted extra blank leaves to give himself more room to gloss the gloss. Ask for Presses J969v to join in the conversation.